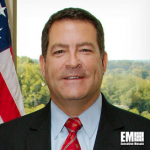 Tennessee Sen. Mark Green has withdrawn his name from consideration as the next secretary of the U.S. Army due to distractions associated with his nomination, Military Times reported Friday. “I am honored that President Trump nominated me for this position… But to meet these challenges, there should be no distractions,” Green said in a statement released Friday. Military Times reported Green’s decision comes amid controversy surrounding his previous remarks on transgender rights and homosexuality. Green is a West Point graduate who has been a state senator since 2012 and is founder and CEO of emergency department staffing firm Align MD. Robert Speer, former Army assistant secretary for financial management, serves as acting secretary of the military branch, the report added. Green announced his decision a month after the White House nominated him for the post and three months after Vincent Viola, founder of digital stock trading firm Virtu Financial, dropped out of consideration for the Army secretary role.